Terrapin Books will re-open for submissions of full-length poetry manuscripts on July 25 and will remain open thru August 31. Now is the time to get your manuscript ready. Be sure to read our Guidelines and our FAQs. Also, please be sure to follow the Guidelines! We ask for a bio, so you really should send one. We ask for a 4-6 sentence description of your manuscript, so you really should send one; in fact, we take it as a sign of laziness if you don't or, worse, we begin to suspect that you don't know what your manuscript is about. We know that request is a difficult one, but we hope it will help you to organize and focus your manuscript. "A manuscript of approximately 40-55 poems for a book of approximately 90-110 pages (page count includes poems, front and back matter, and section dividers)"
This is the one item that brings the most questions. We've rewritten it in an attempt to clarify, but still get a number of concerned questions about it. Please remember that "poems" and "pages" are not the same thing. There will be pages in your book that don't have poems on them. Let's say that you have 45 poems divided into 5 sections. If each poem is just one page, you still will have at least 10 additional pages for the section dividers (both sides count). You will also have approximately 12 pages of front matter (e.g., copyright page, title pages, table of contents, dedication page, epigraph page). Then there will also be back matter (Acknowledgments page or pages, bio). Keep in mind that each blank page counts in the page count. Of course, if some of your poems are more than one page, that increases the total page count. Now if this explanation has merely confused you further, just keep in mind that if you have 40-55 poems, you're probably fine. Let us worry about the page count. 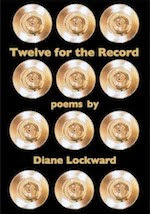 Terrapin Books has so far published 8 poetry collections by fabulous poets—and one more is moving towards publication. We have also published two craft books and one poetry anthology with another soon to appear. But our primary focus is on full-length poetry books. We select carefully, taking only a limited number of manuscripts during each reading period (4 during the first one, 2 during the second, and 3 during the last one). 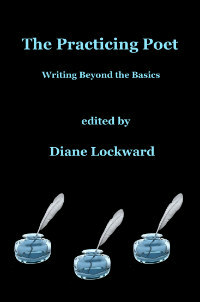 We carefully edit each manuscript and work closely with each poet to put out a wonderful book. Because we are selective and don't have a big backlog, we move along quite quickly. You won't have to wait around for 2-3 years for your book to see the light of day. We pledge to get our books out within a year of acceptance, but in actual practice, we've been getting them out within 6 months. We pride ourselves on the quality of the poetry and the beauty of the books. Poets are invited to offer input on their covers and book design, though the final say belongs to the publisher. One poet's cover art was done by his wife. One cover is a painting done by the poet's husband. Another cover is a painting done by the poet. One is a photo taken by a friend of the poet. The most recent cover is a photo of the poet's coat with its pockets stuffed with greenery from the poet's yard. We are thrilled that Terrapin Books, not even two years old yet, has received positive attention from such places as Poetry Daily, Verse Daily, The Missouri Review, and the Washington Independent Review of Books. And we congratulate Lynne Knight whose book, The Persistence of Longing, was a finalist for the Northern California Book Award in Poetry as one of the best works by a northern California poet published in 2016. Terrapin looks forward to reading your manuscript.